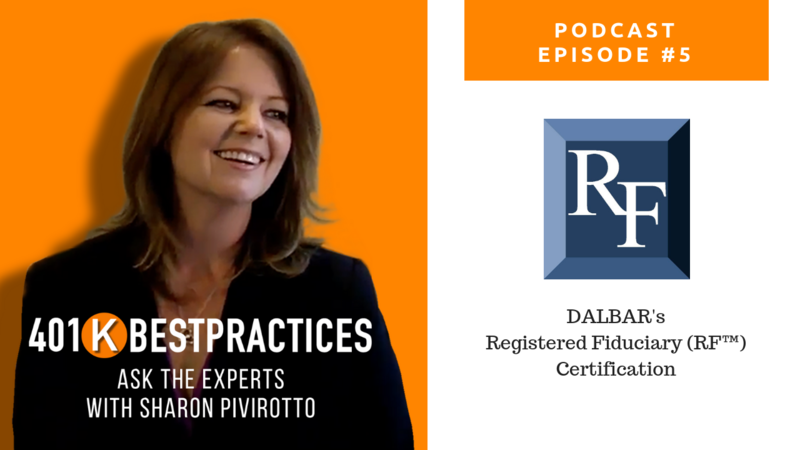 After putting together the Retirement Plan Professional’s Designation & Certification Guide and having a chance to learn more about the various programs out there, DALBAR’s Registered Fiduciary (RF) Certification caught my eye as something that doesn’t look or sound or feel like the other programs out there. 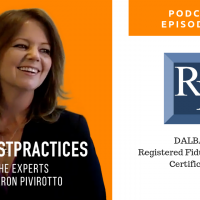 I put it on my list as a program to complete this year, and reached out to Cory Clark, the Chief Marketing Officer at DALBAR, Inc., to learn more. Disclaimer: The information provided in these videos is for professional use only and not for use with plan sponsors or plan participants. The information provided, ideas, opinions and commentary are meant to be educational and general in nature and any reference to ERISA or retirement plan regulations is not meant to be legal or financial advice or an interpretation of the laws, but rather a general discussion. Check with your ERISA attorney and compliance department for the applicability of any matters discussed to your specific situation.